Through the Consortium for the Liberal Arts in Prison, BPI collaborates with colleges and universities to catalyze, launch, and sustain college-in-prison programs across the country. Together these leading institutions are challenging expectations of inclusive excellence while redefining the boundaries of success for people in and returning home from prison. In 2009, BPI established the Consortium for the Liberal Arts in Prison to facilitate the further establishment of college-in-prison nationwide. It calls for those programs to be of the highest quality, ambition, and rigor. BPI pursues unlikely partners, new philanthropic supporters, and critical public-sector allies to create programs that last and flourish over time. The Consortium offers strategic support, technical assistance, and critical guidance to colleges and universities as they develop and sustain ambitious college programs. As partnerships evolve, BPI may assist with relations with corrections officials, provide seed funding, or help design pilot models. Drawing on nearly two decades of experience, BPI helps other colleges and universities stay true to their own identities, realize students’ full potential, and more deeply fulfill their institutional missions. We begin by asking partners to rethink how they fulfill their mission. 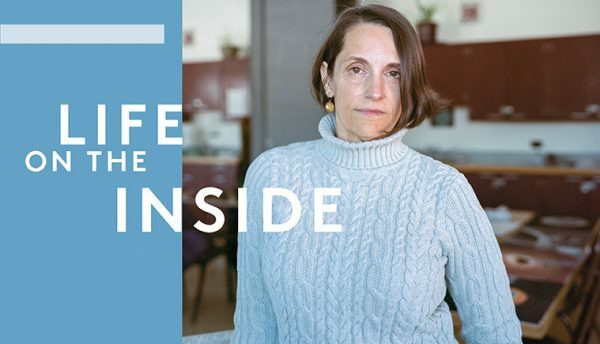 The country’s leading colleges and universities can—and, now increasingly do—find outstanding students in unconventional settings, including inside correctional facilities. They and their social networks, both public and private, have a critical role to play in transforming the meaning and consequences of prison and higher education in an age of mass incarceration. Yet the Consortium is built on the premise that this promise can only be fulfilled by an approach that puts academics first, and treats the prison as only one site among many where we can and must push the frontiers of inclusive excellence. Partners in the Consortium develop high quality college-in-prison programs that have the same rigor and high standards expected of main campuses. Challenge traditional notions that recidivism rates are the primary markers of success for college-in-prison. Based at Bard College in New York and at the BPI Chicago Office in Illinois, BPI’s National Projects stretch across 12 states. All partners make a fundamental commitment to liberal arts learning that aims to transform individual lives and the institutions of criminal justice by putting academics first. In 2009, after years of collaboration, BPI provided a multi-year seed grant to help establish the Center for Prison Education at Wesleyan University. Since then, CPE has enrolled 129 students in two prisons, and has partnered with Middlesex Community College so that students may earn an Associate’s degree. This partnership was selected to participate in the Second Chance Pell program. The CPE currently offers 9 credited courses per semester as well as summer coursework and non-credited workshops and an on-going guest lecture series. In 2017, the first six CPE graduates were awarded their degrees from Middlesex, with 20 more graduates anticipated for summer, 2018. In 2010, BPI provided a multi-year seed grant to facilitate the major expansion of the Grinnell Liberal Arts in Prison Program. To date, LAPP has enrolled 120 students at Newton Correctional Facility and allows students to earn a 30-credit First Year of College Award and up to 60 Grinnell credits. LAPP supports its college program with robust efforts from conventional undergraduates and boasts statewide influence in the field. For years, educators and advocates aspired to create a stable college-in-prison program in the Baltimore region. In 2011, after being approached by local faculty and advocates, BPI partnered with Goucher College to create the Goucher Prison Education Program (GPEP). Now a national leader in the field, GPEP currently enrolls about 100 incarcerated Goucher students across two prison facilities in Maryland. In 2016, Goucher received approval to confer a Goucher College bachelor’s degree at GPEP’s two prison sites. Goucher is the only college in Maryland that allows students to complete a bachelor’s degree while incarcerated, is a Second Chance Pell recipient, and had the honor of hosting the Secretary of Education Arne Duncan and Attorney General Loretta Lynch for the announcement of the Second Chance Pell Initiative in 2015. The Moreau College Initiative (MCI) was launched in 2012 as a partnership between BPI, the University of Notre Dame, and Holy Cross College at Notre Dame. Its campus inside Indiana’s Westville Correctional Facility is halfway between South Bend, Indiana and Chicago, Illinois. MCI benefits from a close and long-standing partnership with Indiana Department of Corrections. Admissions are run at both Westville and a maximum security prison north of Indianapolis, where those admitted then transfer to Westville. Over fifty students study full-time in a curriculum that includes theology, literature, political science, business, science and mathematics. Both Associate and Bachelor of Art degrees are offered through Holy Cross College, while a majority of faculty and extensive in-kind support come from Notre Dame. Funding is a mix of public and private, recidivism is characteristically low, and post-release graduates have gone on to employment and further higher education across Indiana. To date, 134 students have been enrolled in MCI and Holy Cross has celebrated three Commencement ceremonies at Westville. The first cohort of Bachelor’s degree recipients will graduate in May, 2018. Freedom Education Project of Puget Sound (FEPPS) joined the Consortium in 2014 and received several years of seed funding from BPI. FEPPS provides a rigorous college program to incarcerated women in Washington and creates pathways to higher education after women are released from prison. In 2016, FEPPS partnered with Tacoma Community College for Second Chance Pell status. To date, FEPPS has enrolled 325 students and the first associate’s degree students graduated in 2016. Another 19 students completed their associate’s degrees in 2017, and as many as 30 more graduates are expected in 2018. All 12 alumni who have been released from prison are enrolled in two and four-year colleges and universities. One alumna was just accepted at Columbia University, and another graduated from the University of Washington in June 2017. Faculty at Washington University in St. Louis approached BPI for advice on teaching in prison and together we designed and launched the Washington University Prison Education Project (PEP). PEP joined the Consortium in 2014, received several years of seed funding from BPI, and began teaching for-credit, college-level classes at the Missouri Eastern Correctional Center. In 2015, the Office of the Provost at Washington University committed to substantial, multi-year internal funding for PEP. In addition to offering courses for incarcerated students, PEP also offers courses for correctional staff. The first commencement to confer the Washington University Associate in Arts degree is scheduled for January 2019, and graduates will have the opportunity to continue working towards Bachelor’s degrees from Washington University. Students released prior to graduation have begun to complete degrees at University College on Washington University’s main campus. 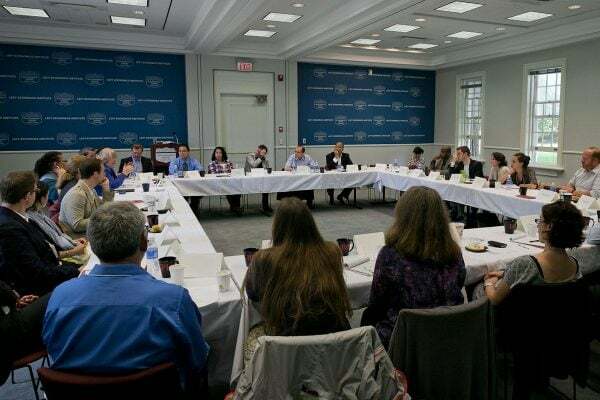 In 2014, a panel of educators convened at Bennington to explore the mutually beneficial relationships between liberal arts colleges and students in and coming out of prison. This convening led to the creation of the Prison Education Initiative (PEI) at Bennington College in 2015. PEI currently enrolls students at Great Meadow Correctional Facility in Comstock, New York. Students who earn at least 32 Bennington College credits through PEI may apply to BPI as transfer students to complete Bard College degrees. Another Second Chance Pell recipient, PEI offers college prep in addition to a wide range of liberal arts coursework. The University of Vermont joined the Consortium and launched the UVM Liberal Arts in Prison Program (LAPP) in 2017, becoming the first public university to formally join the Consortium. As a flagship public university, Vermont becomes a strategically important experiment in how to design and implement this work without and until the return of structural public funding. The first cohort will begin credit-bearing courses in spring, 2018, and with the exception of location will mirror all other aspects and standards of traditional college courses. 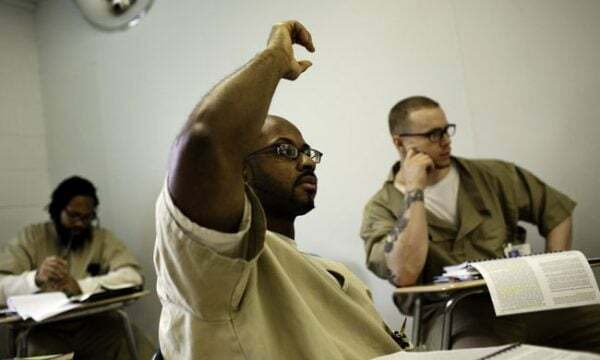 The Yale Prison Education Initiative at Dwight Hall (YPEI) joined the Consortium in 2017 and seeks to expand upon existing Yale programming in correctional facilities by offering Yale courses to incarcerated students in Connecticut. Credits will be issued by Yale College, tuition is waived, and coursework will prepare students to progress toward future degrees. YPEI will run admissions for its first cohort in the spring of 2018. YPEI has also been central to forging a long-term partnership between the Bard Prison Initiative and the Policy Lab at Yale, with the aim of redefining success in the field of college and prison and generating innovative social science research that can inform future practices across the country. 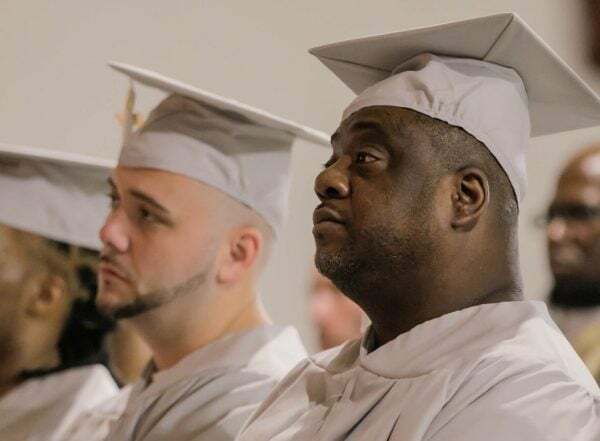 Emerson College launched the Emerson Prison Initiative (EPI) and joined the Consortium in 2017 with an initial cohort of twenty students at Massachusetts Correctional Institute at Concord who began coursework in the fall of 2017. With assistance from BPI, EPI is expanding course offerings at MCI Concord and preparing to admit subsequent cohorts. Emerson brings its unique arts and communications focus to this program, while also creating a strong foundation from which students can decide their own future courses of study, whether at Emerson, other college-in-prison programs, or colleges and universities post-release. 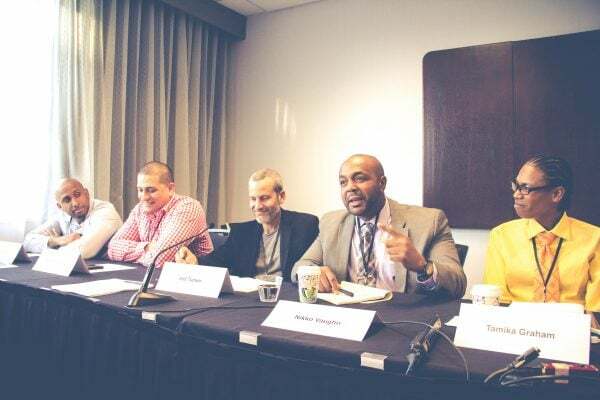 Six BPI alumni served as panelists at the three-day National Higher Education in Prison Conference in Dallas this November. They spoke about the impact of a liberal arts education on the experience of returning home from prison and participated in information sessions and roundtable discussions about everything from admission to program design. Other college-in-prison advocates and experts attending from across the country included consortium partners Washington University, the Freedom Education Project Puget Sound, Wesleyan, Grinnell, and Dwight Hall at Yale. Launched in 2012, the Moreau College Initiative is a partnership between BPI, the University of Notre Dame, and Holy Cross College at Notre Dame. It operates within Westville Correctional Facility – halfway between South Bend and Chicago, IL. Admission is also run at a second maximum-security prison, from which admittees transfer to Westville. Students study full-time in a curriculum that includes theology, literature, history, business, biology, and mathematics. Both Associate and Bachelor of Art degrees are offered through Holy Cross College, while most faculty and extensive in-kind support come from Notre Dame. Funding is public and private, recidivism is low, and graduates go on to employment and further higher education across Indiana. 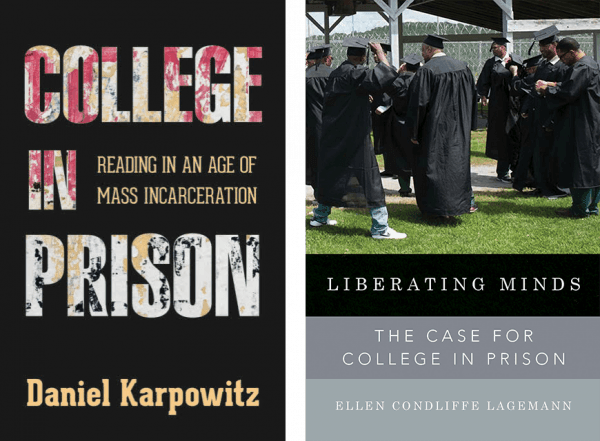 In 2017, two books were published by BPI leadership: Daniel Karpowitz released College-in-Prison: Reading in an Age of Mass Incarceration and Ellen Lagemann published Liberating Minds: The Case for College in Prison . Widely acclaimed, they were reviewed together in the New York Review of Books. Obama’s controversial pilot program will make higher education dollars available to inmates this year. Proponents hope it will build on the success private liberal arts programs are achieving in prisons across the country. When eleven uvm undergrads in the course “Justice Studies” arrive for a weekly class meeting, they are required to leave their keys, cellphones, and other personal belongings at the door before walking through a metal detector under the watchful eye of a correctional officer. 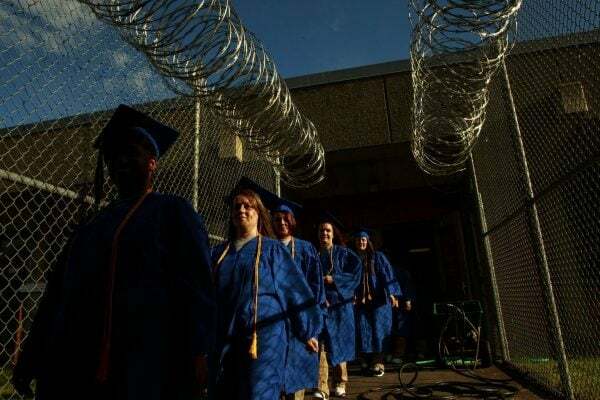 Nineteen women inmates at the Washington Corrections Center for Women graduated last week with associate degrees through a fast-growing college program run by a Tacoma nonprofit.